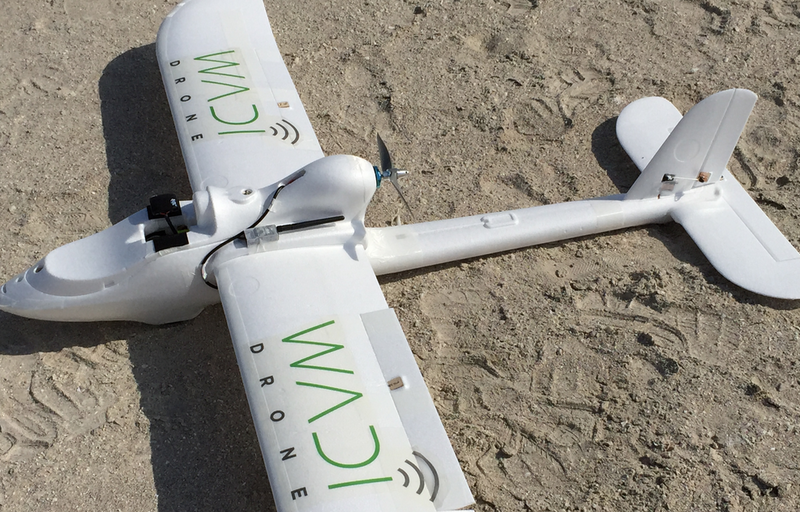 Can This Unique Conservation Drone Be Used for Disaster Response? 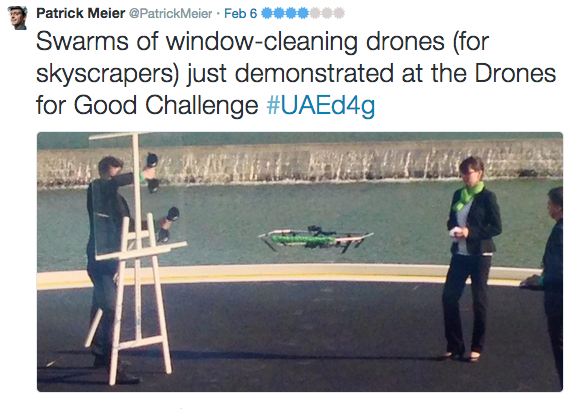 I had the distinct honor of both keynoting & judging the outstanding Drones for Good Challenge in Dubai last week (see my live reports). 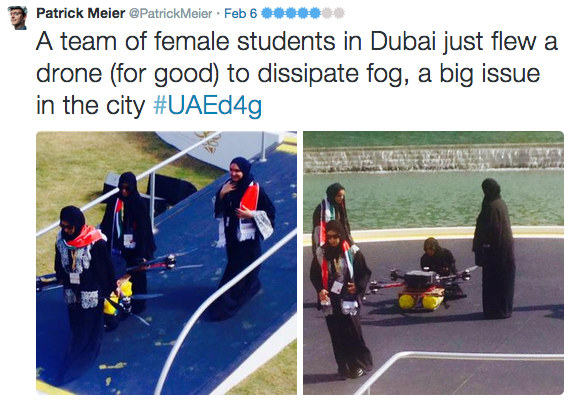 Teams from all around the world came to the UAE to compete. 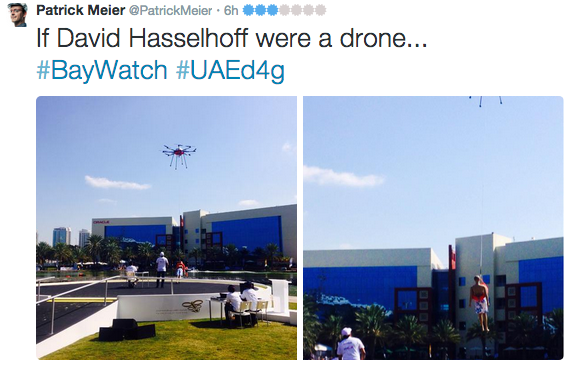 Some of the drones that took to the sky were truly remarkable. 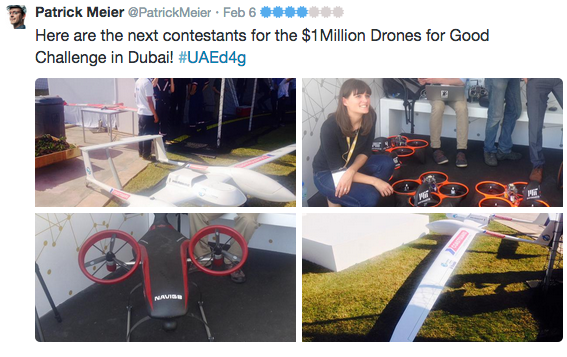 The winner of the National Prize, for example, was the Wadi Drone built by the NYU Abu Dhabi Team who took home the one million Dirham reward ($273,000). 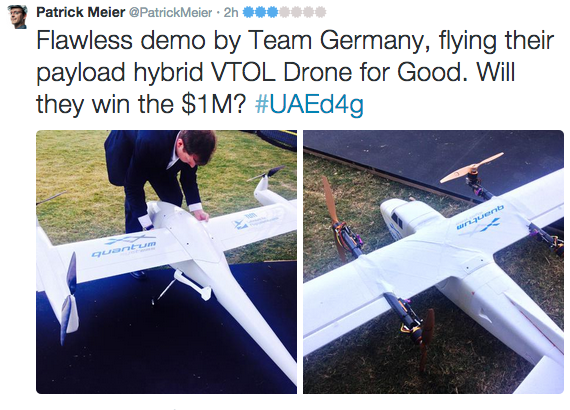 While designed to support important conservation efforts in the region, the novel solution afforded by this innovative drone could also be used to support humanitarian relief efforts. The ultralight Wadi Drone can fly for 1.5 hours across some 40km of the Wadi Wurayah National Park, which is the “UAE’s first mountain protected national park. 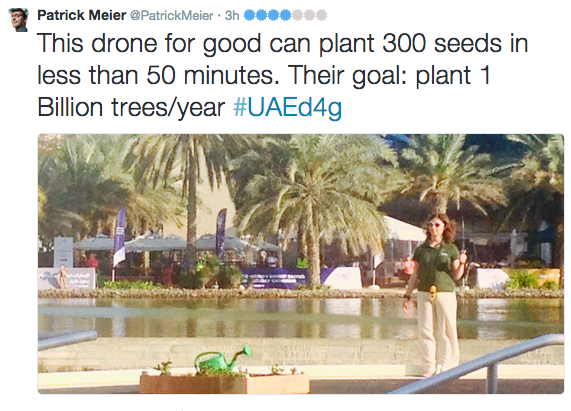 The drone collects data from 120 camera traps that capture images of wild animals at the park” (1). Thanks to Wadi Drone, rangers no longer have to hike through the park (often facing temperatures upwards of 45 degrees Celsius) to manually collect the SD cards from each of the 120 cameras scattered across the area. 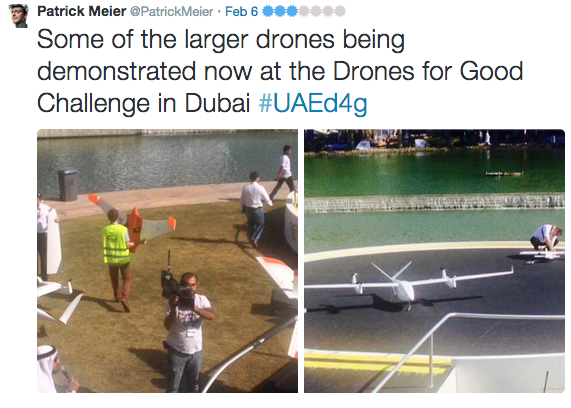 Instead, the drone simply flies over the cameras and uploads the pictures directly to an onboard memory card. To date, these cameras have enabled park rangers and conservationists to identify more than 800 specifies, such as foxes, wildcats and lynxes. 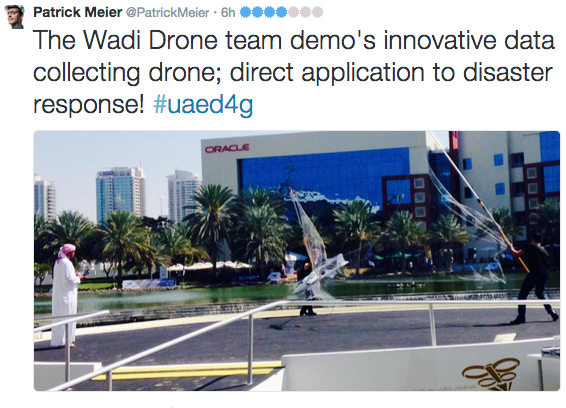 What if we used the Wadi Drone to collect relevant data from humanitarian base camps in the field during disasters? Connectivity and bandwidth can often be an issue in these situations. 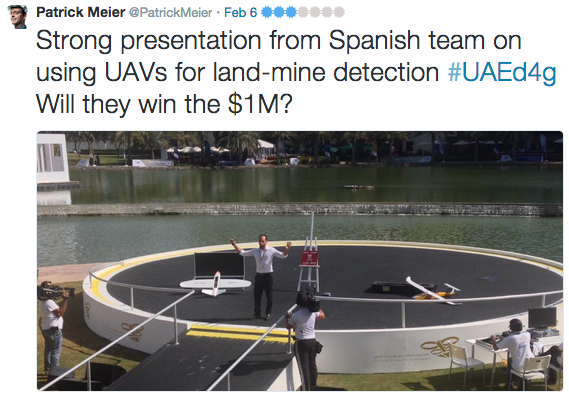 Could we use a version of the Wadi Drone to collect data on damage assessments, resulting needs, etc., along with pictures directly from the field? 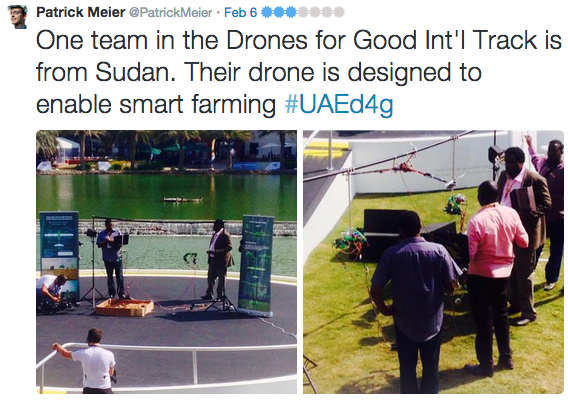 Laptops and/or smartphones could simply be retrofitted to push relevant data to the drone flying overhead, which would then return to HQ where (hopefully) a more solid Wifi or 3G/4G connection is available. Am I completely off here, or is this something worth exploring? I hope my more seasoned humanitarian colleagues will chime with some of their thoughts. 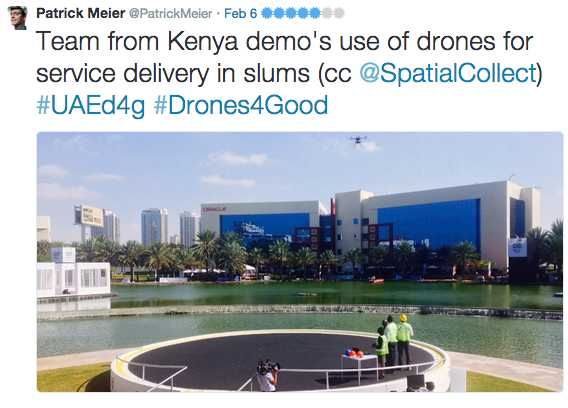 Is there a role for data-carrying drones in the humanitarian space? 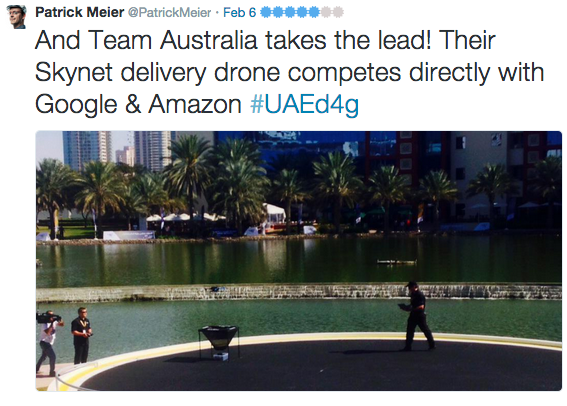 Keep in mind that drones are not immune to Moore’s Law. 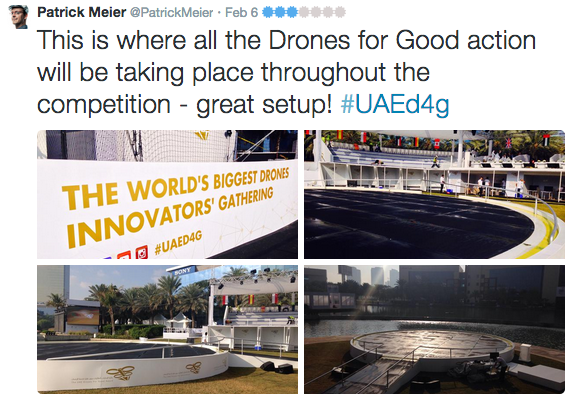 We’ve just wrapped up an incredible week at the first ever Drones for Good Challenge. 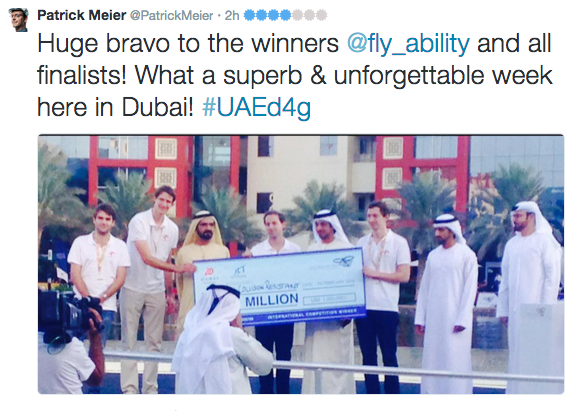 Not only was this the first event of its kind in Dubai, it was the first ever such event in the world. I was thus hugely honored to both keynote this outstanding celebration of technologies for good and to also serve on the judging panel for the finalists. 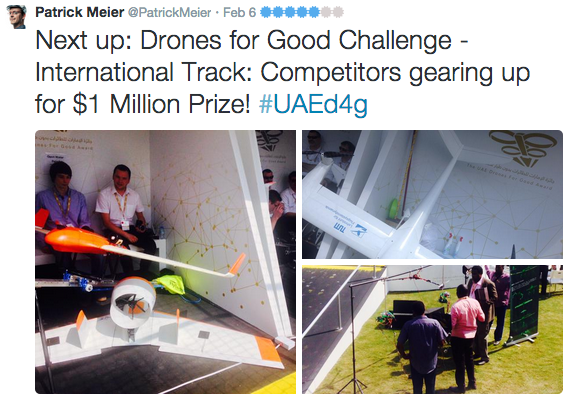 Some 800 teams from nearly 60 countries around the world submitted their “Drones for Good” ideas. Only 5 made it to the very final round today. I lived-tweeted the event and curated the list of tweets below as a summary (all original tweets available here). My head is still spinning from all the possibilities, ideas and the incredible innovators that I had the good fortune to meet in person. 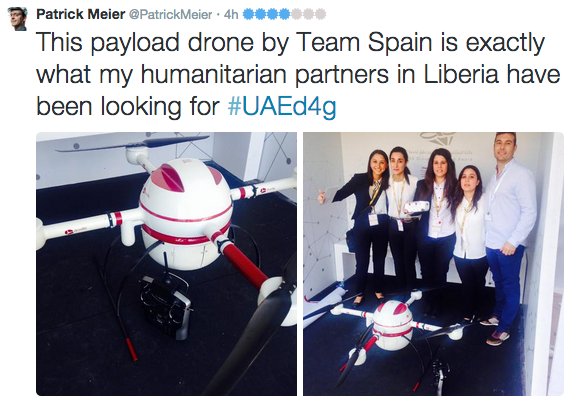 I’ll absolutely be following up with a number of them for several Humanitarian UAV projects I am working on. In the meantime, huge thanks to the organizing event team for their very kind invitation and friendship! I’m excited to explore the above possibility with a number of key individuals who I met and spoke with whilst in Dubai.